Party Central is stocking for the Fourth Of July. 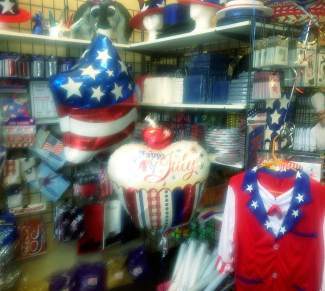 We've got balloons, decor, costumes, hats, wigs, glasses, boppers and more! Come visit us at our new location at 240 Chapel Place, right next to Nozawa's in Avon.